The bluegill is possibly the most widespread panfish in the United States. It is extremely popular because of its delicious flavor, high numbers, and willingness to bite. Bluegills are a hardy fish, thriving in middle-to late aged eutrophic lakes and small ponds. Overpopulation is common in a lot of these waters where predation is not heavy, and this leads to a huge population of stunted fish. However, when found in waters containing large pike and largemouth bass for example, bluegills large enough to be worth targeting are present. Any bluegill over a pound will put up a great fight on light fly tackle, and are willing biters that will take small artificials as well as bait. They spawn in early summer and a big male sitting on a light-colored nest sticks out like a sore thumb, and will attack anything that invades his space. Really big bluegills grow large, fleshy shoulders and are termed "knobheads" by anglers who pursue them. In early summer you'll find knobs in shallow mud-bottomed bays where the sun warms the water most. The early emerging vegetation atrracts big female gills as they recover from spawning. As summer progresses larger fish are usually found a bit deeper, like on the weedline. Live bait can work well for bluegills, as well as small crappie-sized jigs or flies. Angleworms, leeches, wax worms, live nymphs, crawfish tails, or even wild mushrooms work as baits for bluegills when suspended beneath a slip-float. Small poppers or foam bugs work great for fish in the shallows, and bluegills just can't turn down a small wet fly or nymph either. However, big bluegills will attack larger flies such as wooly buggers or even clousers, so fishing these blind around the weedline or pockets in the lily pads can produce both knobheads and the occasional largemouth bass or pike. Bluegills hybridize readily with other, closely-related species. 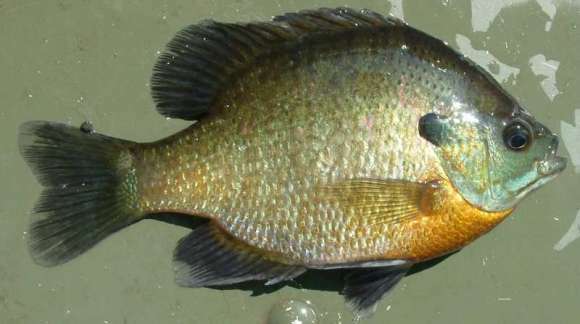 Pumpkinseed/Bluegill and Green Sunfish/Bluegil hybrids are particularly common. Identification of hybrid species presents a paticular challenge, especially in young fishes. 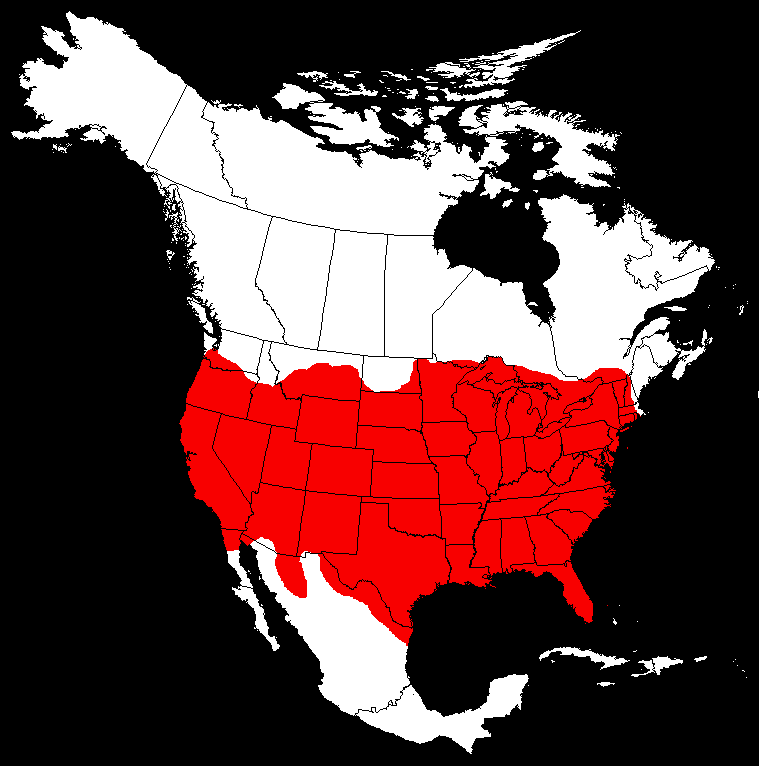 In some cases, it is impossible to determine which species made up a hybrid. Bluegills have been stocked, moved, and mixed together to such a degree that almost any unique strains of bluegill from long ago have been lost. One unique sub-species, the Florida or coppernose bluegill, still exists and is a common catch in Florida.